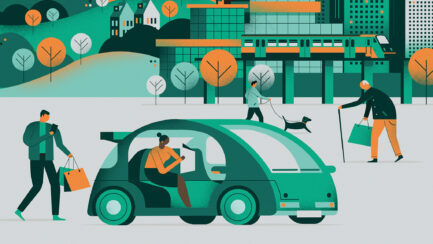 BUILDING BRAND AWARENESS WITH A DECONSTRUCTED HOME OF THE FUTURE. 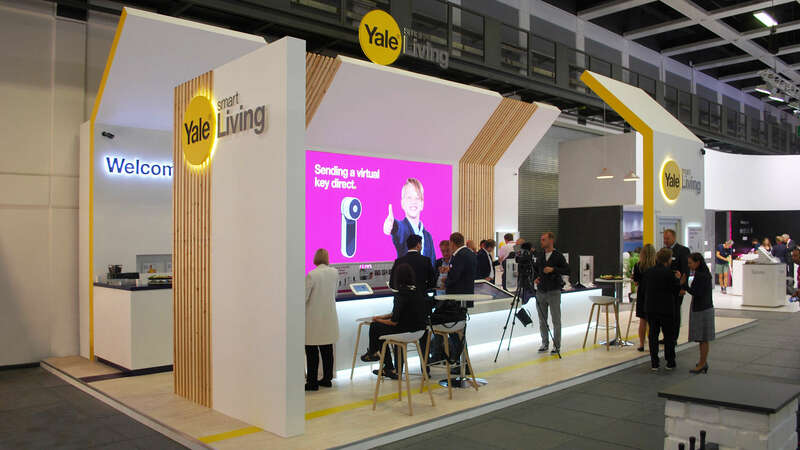 The Fold worked with Yale Smart Living to deliver their stand and presence at IFA Berlin 2018, one of the most prestigious consumer electronic shows of the year. 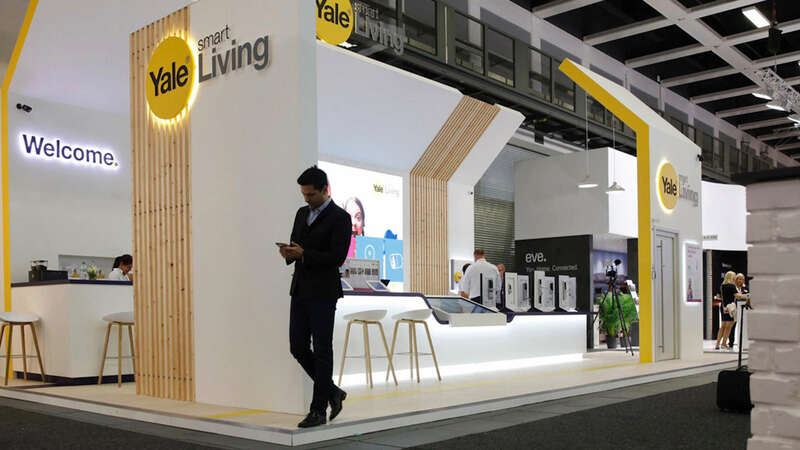 It’s fair to say that Yale has low brand recognition amongst German consumers, so the main challenge lay in increasing awareness of a brand steeped in over 175 years of history whilst also further enhancing their awareness EMEA-wide. 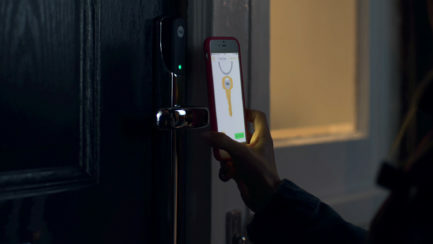 The stand sought to introduce audiences to the Yale Smart Living division, educating them on their latest product range and partnership announcements with the likes of Amazon during the show, with a long term vision of establishing Yale as the global market leader of smart home security. 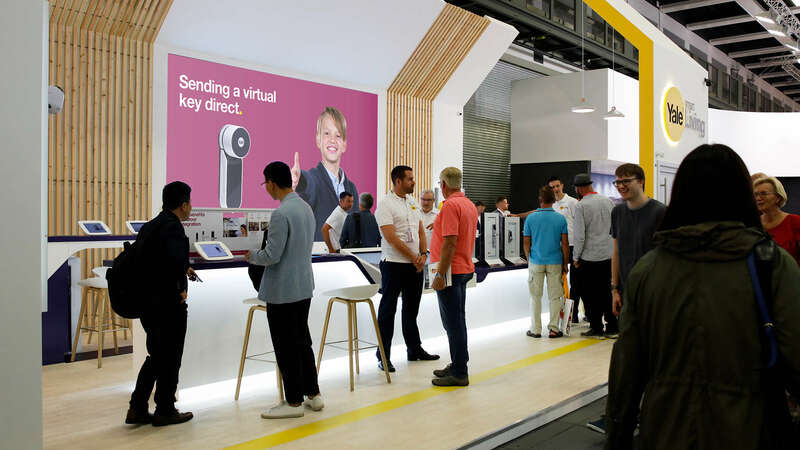 The main design challenge of the stand itself was to ensure that it could display the vast product range without feeling cluttered or compromising visitor flow or creating congestion around the space. Finally we committed to build the stand a full day early so that it could be used as a backdrop to a global press launch for Yale. 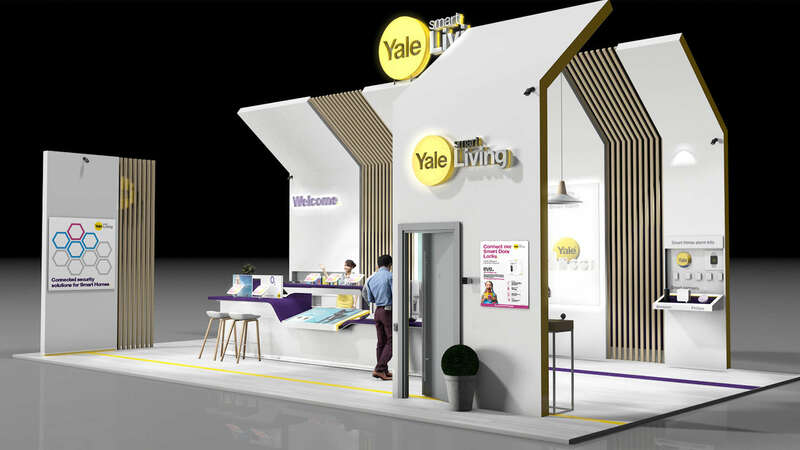 To create an engaging and abstract home of the future to showcase Yale Smart Living products in the most dynamic and practical way. A visually striking deconstructed home of the future to stand out amongst the noise of competitors through its purity. The surrounding freestanding walls contrast solid walls with exposed vertical wooden fins. 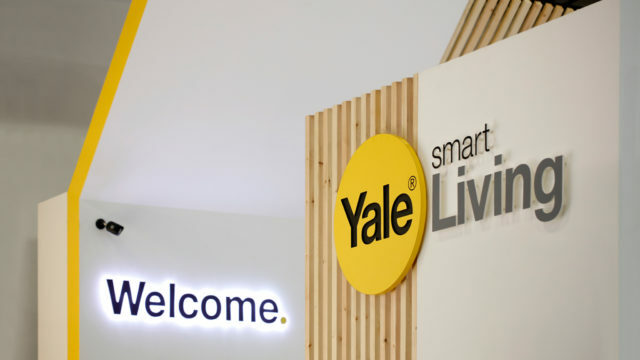 The entrance to the home of the future is a live demonstration area for staff to engage with visitors and to showcase the latest smart door locks, alarms and CCTV innovations from Yale. 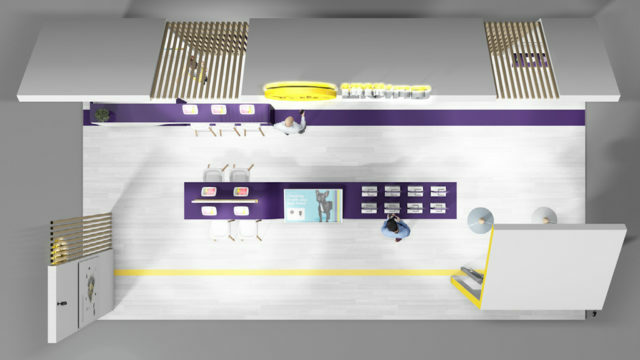 Central to the home is the family table, a monolithic structure with high seating to encourage visitors to dwell and learn about the latest innovations; showcasing a mix of physical product and digital content. At the centre of the table is a large integrated touch screen table that acts as a controller to a giant LED screen back wall; the stand centrepiece. 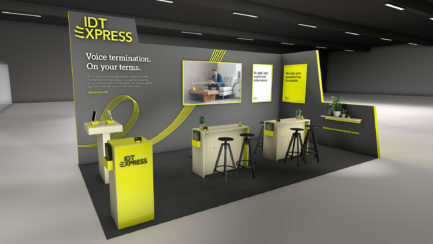 The LED wall acts as a slave screen to the touch table controlled by visitors to the stand and has several purposes: an extensive product library with data visualisations and films; The Yale brand story told through an engaging timeline; A code breaker game with winners awarded prizes daily; A series of looping product films played when the table is idle. 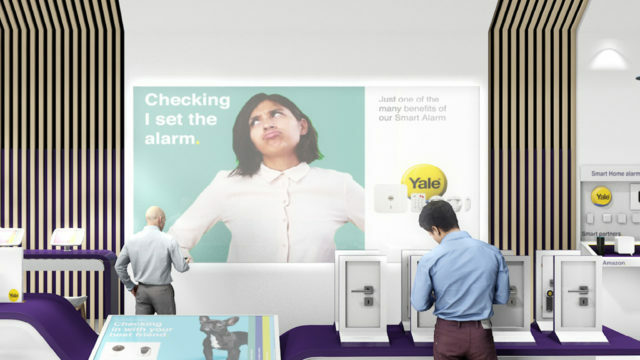 To further support Yale at the show, The Fold developed a full social media campaign across multiple geographies, including daily competitions that required consumers to post selfies with the Yale stand mascot with dedicated hashtags. Other collateral included printed and digital advertising, email bulletins and daily newsletters that were circulated each day. IFA was a big success for Yale and we expect many business opportunities. The results have been outstanding and the stand drew many compliments. If you’d like to learn more about how to build a successful conference presence that results in genuine business opportunities year on year, have a chat with us today.